Polypropylene material. 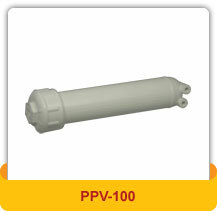 Fits standard reverse osmosis membranes. Cycle tested 100,000 hits 0-150 psi.